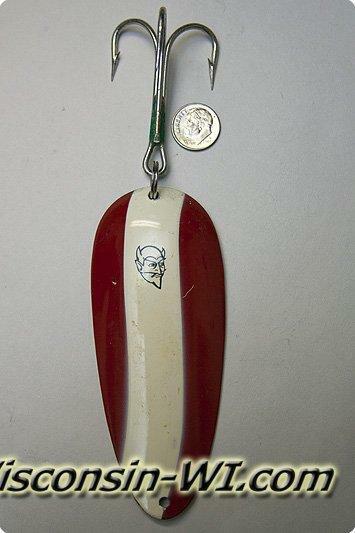 Photo of Musky Lures – Big Dare Devil Spoon. Photo of Musky Lures – Top Water Lure / Surface Bait mimicking an injured minnow struggling on the top of the water. Photo of Musky Lures – Top Water Lure / Surface Bait which is also a jerk bait. A jerk bait is used when you jerk the rod to make the lure jerk across the top of the water like an injured minnow. Photo of Musky Lures – Top Water Lure / Surface Bait which is also a jerk bait. 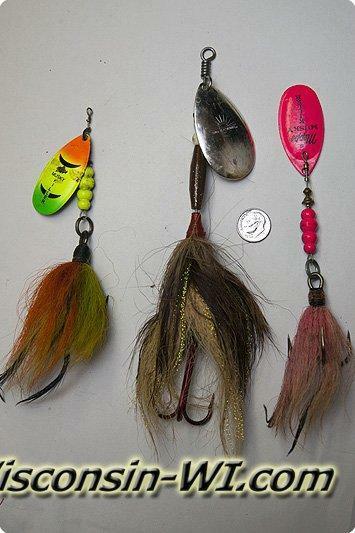 Photo of Musky Lures – Big Crank Diving Baits. 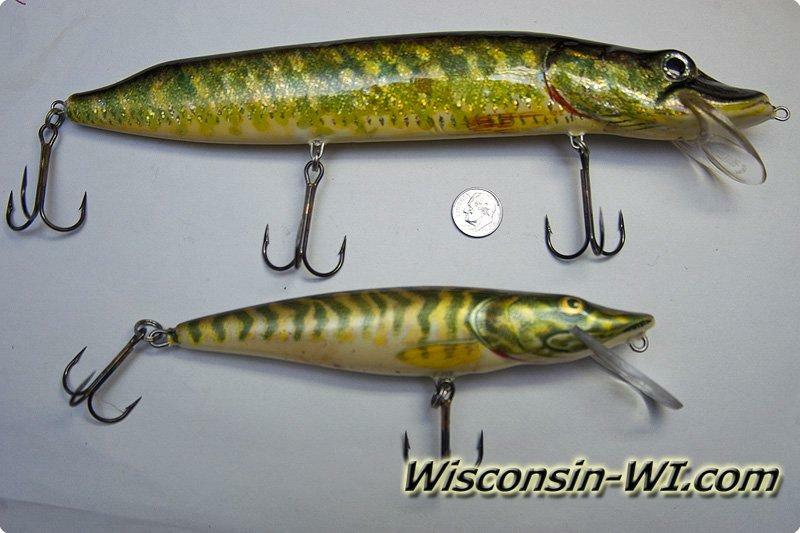 These two big musky baits are mimicking small northern Pikes which are part of the Muskie diet. Photo of Musky Lures – Big Crank Diving Baits. 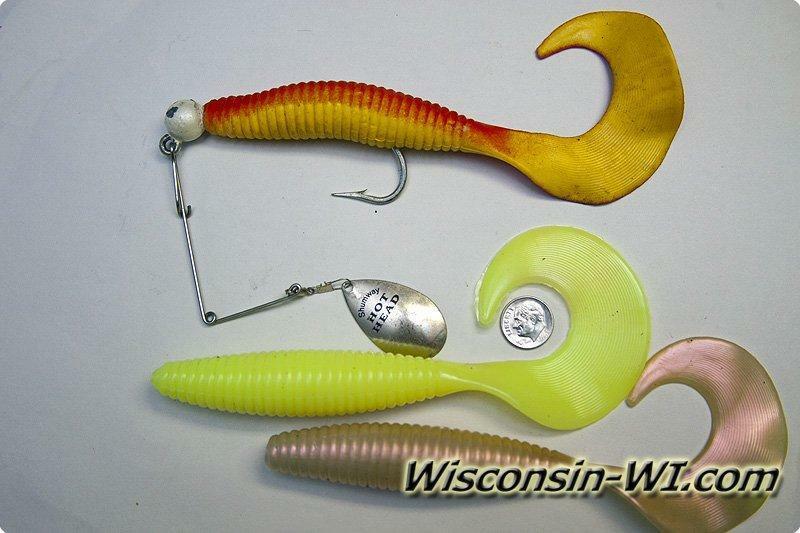 Photo of Musky Lures – Spinner bait with rubber twister tail, these come in all shapes, sizes and colors to attract big musky, northern bass and walleye. 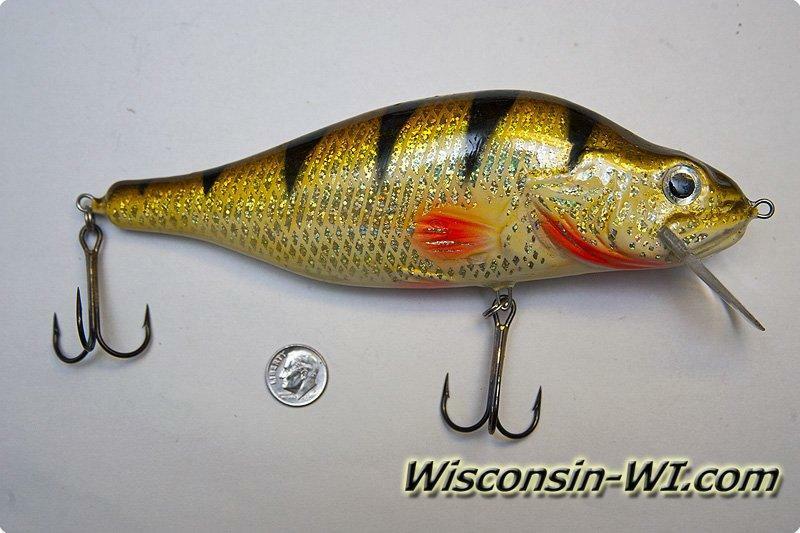 Photo of Musky Lures – Big Crank Diving Bait of a Big Perch. 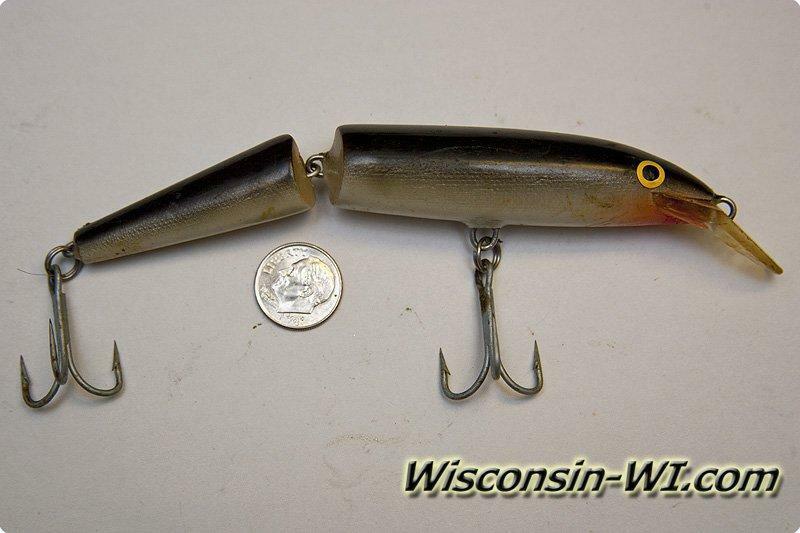 This diving crank musky bait mimics a larger swimming yellow perch which are part of the Muskie diet. Photo of Musky Lures – Big Crank Diving Bait of a Big Perch. 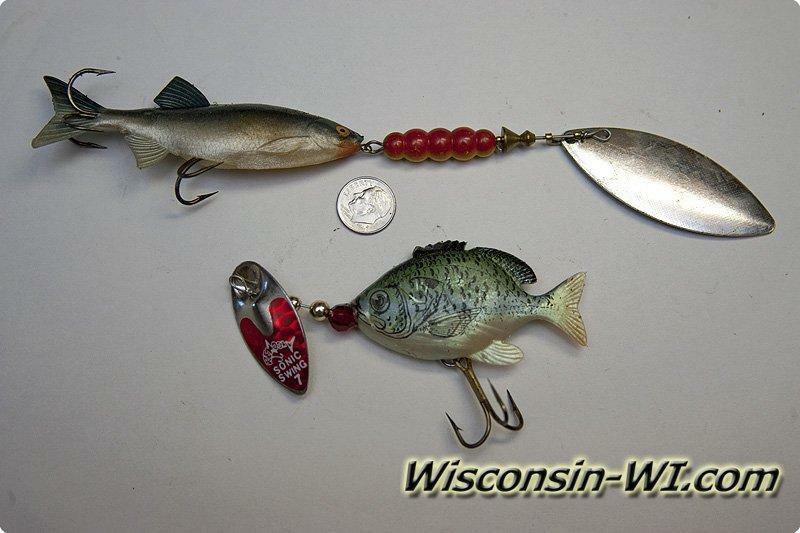 Photo of Musky Lures – Big Diving Crank Bait of a Big Silver Wooden Minnow which is an artificial lure. 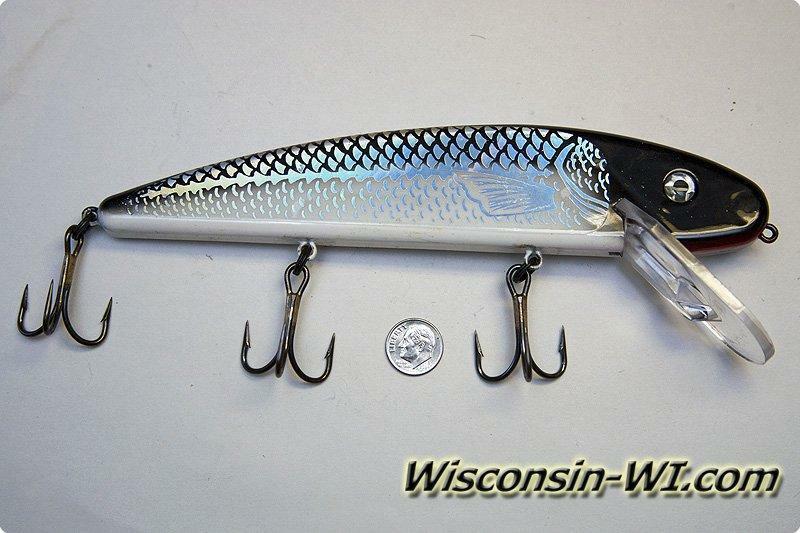 This diving crank musky bait mimics a larger swimming silver minnow which are part of the Muskie diet. 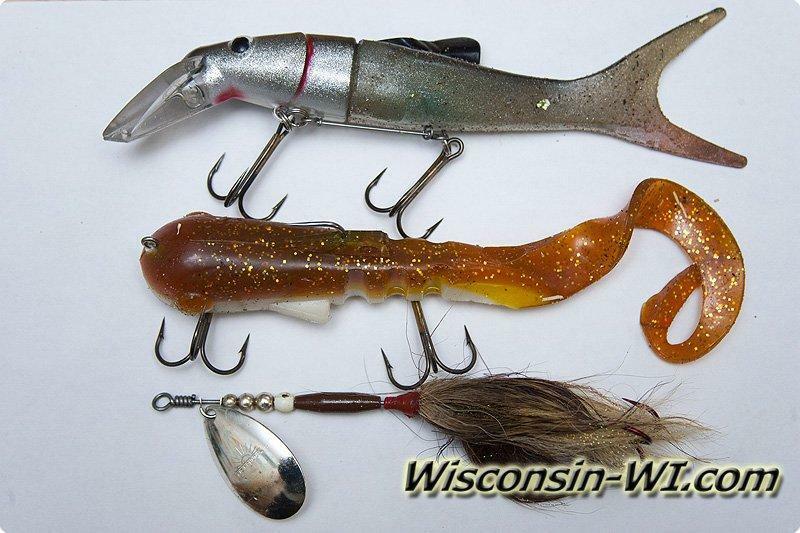 Photo of Musky Lures – Big Diving Crank Bait of a Golden Minnow which is an artificial lure. 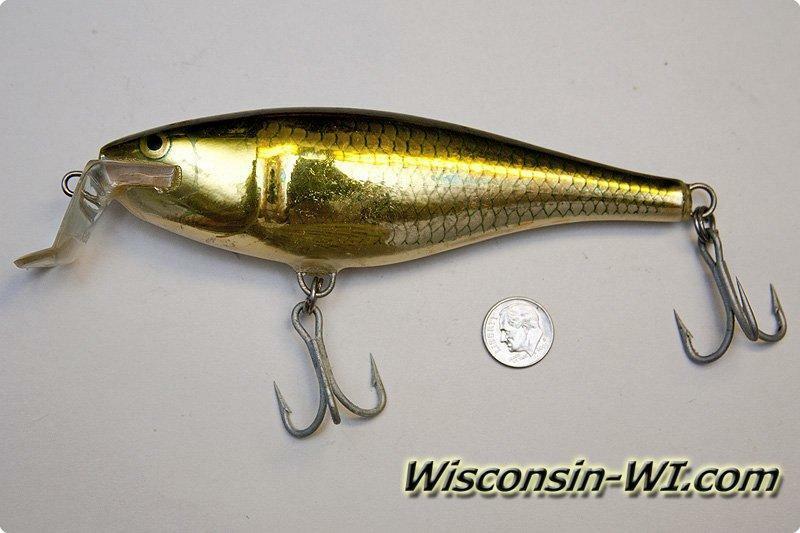 This diving crank musky bait mimics a larger swimming golden minnow which are part of the Muskie diet. 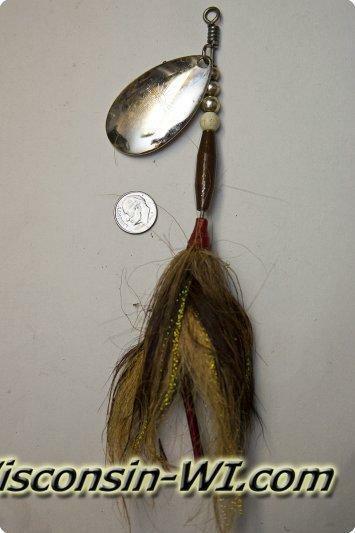 Photo of Musky Lure – Big Buck Tail also known as Inline Spinners which is an artificial lure. 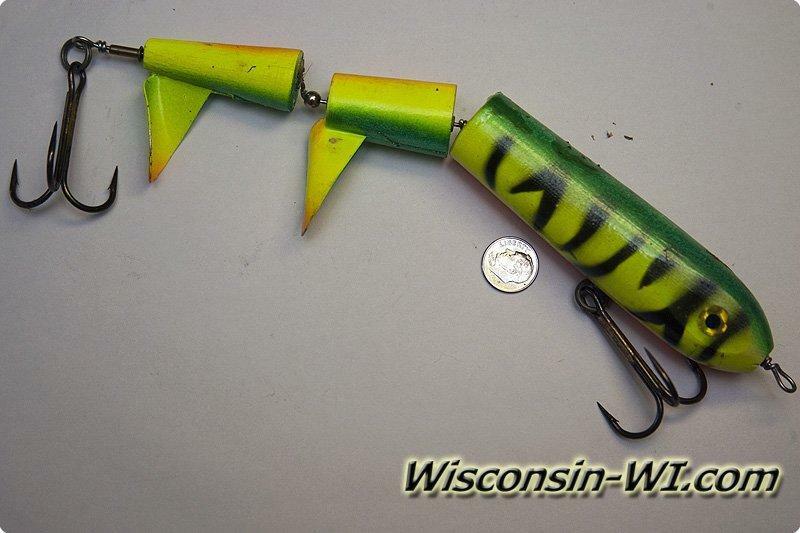 Photo of Musky Lure – Mepps Inline Spinner of a large Minnow and a Plastic Bluegill which is an artificial lure. 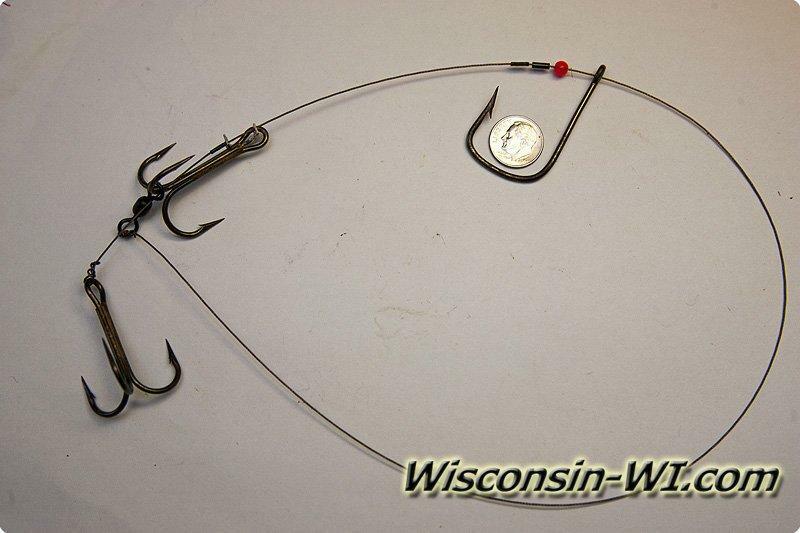 Photo of Musky Rig – Sucker Rigs for Live Bait. This Rig if for a larger sucker with one main hook and 2 treble hooks connected with metal wire. 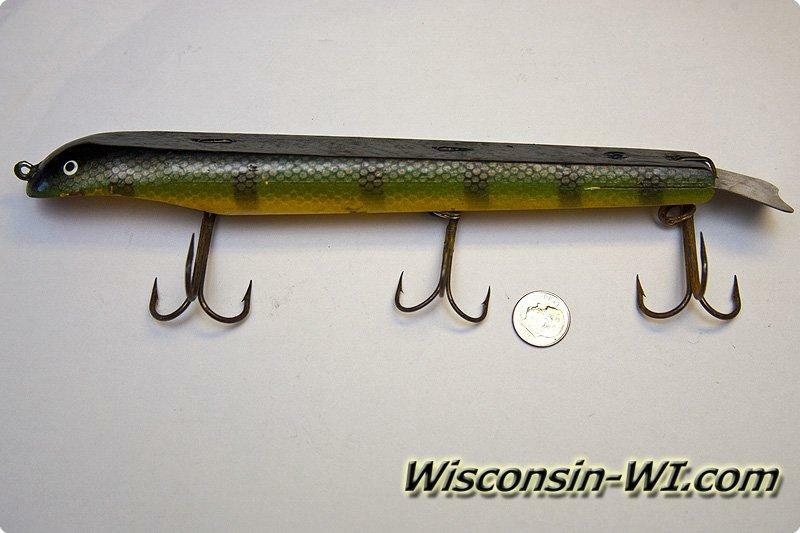 Photo of Musky Rig – Sucker Rigs for Live Bait. Always Check Local Fishing Regulations | Practice Catch & Release | Don’t Litter!